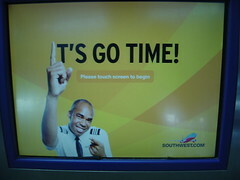 Checking in at Southwest, the self check in screens displayed “It’s Go Time!”. Perhaps, it was a good sign for race weekend. I checked the bike box which I had done and undone a few times since I was traveling with the bike for the first time. The process worked out OK. I had to tighten the front brake and fix a slow leak in the rear tire which might have been unrelated. Just getting to the Ironman World Championship 70.3 was an accomplishment, and I was happy to take part with a bunch of other great athletes. It had been a tumultuous summer. It started out inauspiciously when I was laid off from work in June. I mulled whether to double my training with the extra time afforded or perhaps reevaluate my priorities and hang it up for the year. With Providence Half Ironman 70.3 four weeks away and not being signed up, I had some decisions to make. I had also recently demolished my bathroom to set an extra sized tub that would be the recovery solution to long rides this year. Its use would not be fully realized as events would unfold, but I still had to put the room back together, train, and figure out the job situation. Usually, the obstacles are unexpected and on the race course. This year, they were unexpected and off the race course. I decided to stick to the same training routine and sign up for Providence. I stayed consistent with training volume over the next few weeks for the most part. Of course, I did have the flexibility to insert a long “brick” (aka bric) during the week rather than load the long workouts into the weekend as is customary for age groupers. I did well enough at Providence for luck to break my way, though I didn’t think so at the time, and I was in the fortunate spot to get a rolldown to the show in Vegas. I had been stressing with the no wetsuit swim at Providence. I used a skin suit that was later not permitted at Vegas. I don’t think I used my new wetsuit after that in races or training the rest of the year. Swimming not being my strength, it is hard to give up the wetsuit. I got an offer a little later in July for some contract engineering work in IL. So, with my road bike and tri bike on the roof, I was off. I still needed to finalize travel plans including departure airport and other travel logistics for Vegas. The plane ticket I got two weeks before the event was a little more expensive than I planned. However, the hotel and rental car (gotten within the last week and last day before travel respectively) were very affordable. In the new Midwest location, training rides were typically flat through corn fields. Tall enough to block views at connecting streets but not tall enough to block the wind in either direction. I had to search out the river bluffs for any real elevation change in my training. As with most races, there is always something new and irrational to stress over. Having swum no wetsuit in the last two races, I could not rely on this to be something to fear and fixate on. Checking the weather forecast with temps running to 110+F (and to 120+F in the bike course canyons according to a race participant who pre-trained there), I had something to get fixated on and worry about. As it turns out, the problems on race day are usually something else entirely. In this case, temps on race day were relatively cool and only into the low 90’s F. The bother of the day was a headache that I had from the previous night that I didn’t shake until the run when I dumped an ice cold cup of water over my head. Also, a slightly intolerant stomach during the bike. When I got into the water, reported to be 80F and with a 10 minute wait from the previous wave, I started getting cold. I was in the water and actually shivering with teeth chattering. In contrast, it was what I least anticipated on race day – to be cold before the start or at any time for that matter. The swim course was good and spectator friendly with a walkway over the swim start with portico type openings on either side for spectators to view the swimmers head out and then back and under the walkway into the swim finish. I spent time with Jamie Strain waiting for our wave to start. It was good to see blue and green - a familiar face. He reportedly did not double up on races this race weekend (and I say that with admiring respect). In the return direction of the swim, I got in behind other swimmers and thus allowed their effort to dictate my pace. I had one guy grappling with my ankles for a few hundred yards. I typically am a silent kicker and more than allow a few taps, but with the chance of my timing chip getting stripped I had to send a few signals and a couple of times. He got the point eventually. My energy exertion was average as well as was my total swim time. On to T1 and the bike. I had never done a race where gear was not co-located on the bike and where we had to retrieve it prior to entering a change tent. I understand this is a normal transition format at other Ironman managed races (e.g. Lake Placid). The bag handoff went well with volunteers manning the area. They were great throughout the day. Of interesting note, leaving T1 was a switchback you had to run your bike up to get from T1 to road level to mount your bike. The 56 mile bike course showed off the rugged beauty of the desert. It was up and down most of the way with big rollers. In comparison, the 3x loop half marathon run course was either all up or all down. The road surface was very good. No fissures, cracks, or other problems like you might expect to look for while riding New England roads. An accomplished former pro bike racer, Laurent Jalabert, was in my wave. Fast guy! As far as penalties, the athlete next to me at the awards ceremony indicated that they had given some 80+ penalties. I personally only observed one pack of 10-20 bikers roughly spaced and with a course motorcycle tight on their heels. Otherwise, I did not observe athletes drafting the bike course. Nutrition-wise, I went off the game plan a bit. With a headache through the bike and a bit of spitting up on the bike, I attempted to hydrate and fuel consistently at least to start. Breakfast was 24 oz apple sauce, a banana, orange juice, a few bites of bagel, and some water. On the bike course, three Powergels at about 40 minute intervals. Some 50-55oz of sports drink and just downing what I could of some water handoffs at three aid stations for another 20+oz of water. Carried two Powergels on the run, but I didn’t touch them. Was not in the mood to eat after halfway into the race. Relied on sports drink and one soda handoff on the run. Water going over the head and sponges down the back to cool off. The first cold water over my head thankfully made the headache went away. Temps were rising on the run course, and starting in my wave an hour after the Pro wave start ensured that I would be out there longer in the heat. The good news is that it was not the death march I had anticipated over the previous few weeks and was not all that bad. I believe it got into the low 90’s, but it was a dry heat that did not feel that bad. I think there was more elevation on the run than what the course terrain map indicates. Overall, I would have liked to have been a few minutes faster here and there, but I was content with a sub 5:00 on a World Championship worthy course. After all, it took me longer to box my bike for the first time than to run the course. So, that is a take away I can be positive about. Guru Magis tri bike (changed from Cannondale CAAD8 road bike) with mostly DuraAce components, stock wheels, Continental 4000 tires, aero helmet, and aero bottle. Filled but actually didn’t use the Bontrager speed bottle. Used Powerbar Beta Alanine this year. Also, I was a few pounds lighter and closer to natural race weight. Swimming. Maybe running. There is some room to buy speed with race wheels. I noticed that I give up something to strong bikers on descents and some flats and take it back on the uphills. I have to mention that I was impressed with the organization and volunteers. We, as athletes, were treated very well. The welcome dinner, support on the course, and the awards banquet. First class treatment. All at beautiful Lake Las Vegas. I met a number of age groupers and was even able to talk with a few professional triathletes over the weekend. A great experience.